Provide comfort for the family of Jean Smith with a meaningful gesture of sympathy. It is with great sadness we announce the passing of our mom, Jean Anne Smith, nee Currie on April 15 2019, after a long battle with COPD. Jean leaves her husband Don of 54 years and her two daughters Dawn (Graham) and Patricia (Bryan). Our family would like to thank Dr. Sachelli and the staff at Headwaters Health Care Centre for all of their support and care. Funeral Service will be held at Dods & McNair Funeral Home, Chapel & Reception Centre, 21 First Street Orangeville, on Tuesday, April 23, 2019 at 2:30 p.m. with visitation beginning at 1:30 p.m. Memorial donations to the Lung Association would be appreciated by the family. 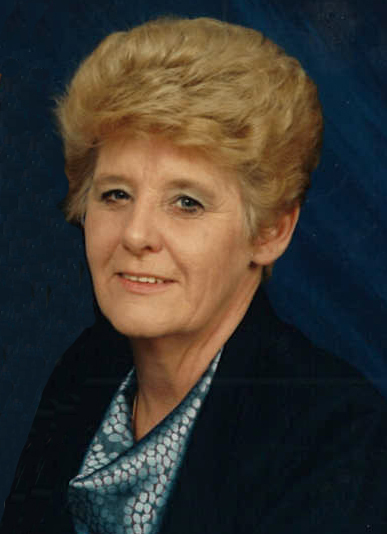 Provide comfort for the family of Jean Anne Smith (Currie) by sending flowers. It is with great sadness this very fine lady is gone. Aunt Jean had the best sense of humour, and every time we spoke on the phone my stomach and cheeks were always hurting...we had alot of great conversations, everything from love to hurt...I will miss her. She is in a better place now and at rest. So sad Uncle Donnie, Dawn and Patricia for your loss. I was just looking at pictures of her last visit here yesterday and last night I received the news of Aunt Jean passing. RIP Aunt Jean.